Authentic Venetian Glass bead in the traditional Sommerso style. This is one of the first styles of bead a beadmaker in Venice learns how to make. This bead measures 8mm with a 1mm hole running through the center. 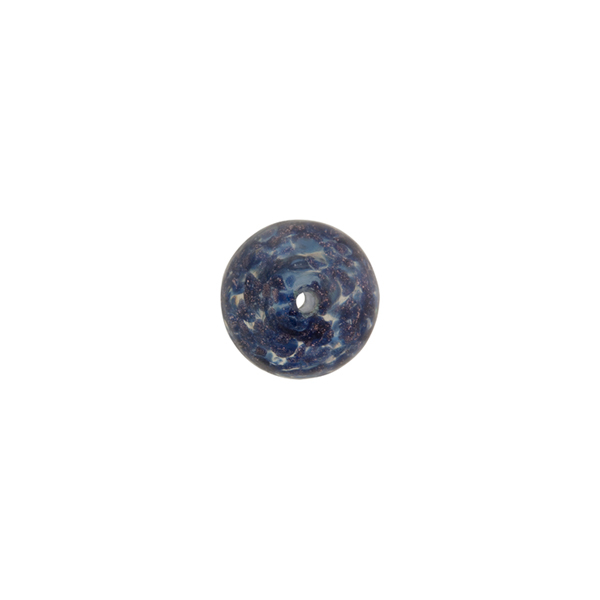 The color of this one is luna (dark blue) with aventurina encased in clear Murano glass. Aventurina consists of copper particles that give these beads that special sparkle. Because these beads are made by hand the size and shape will vary slightly.